I've got a huge amount of cuteness for you today! 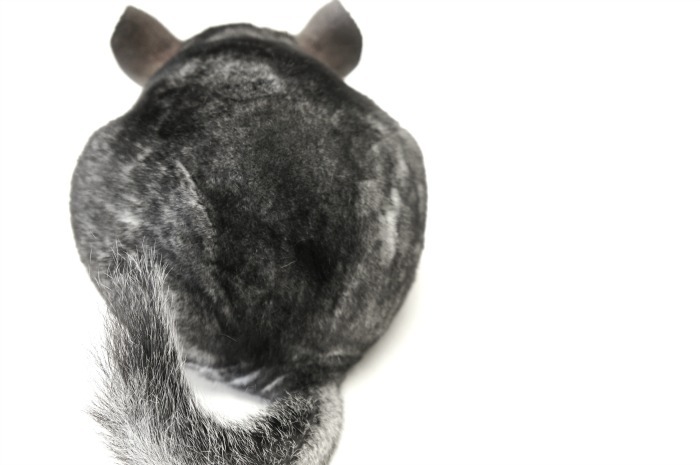 It's time for a furry installment of this Fur, Feathers & Scales series. Meet Cashew the Chinchilla! 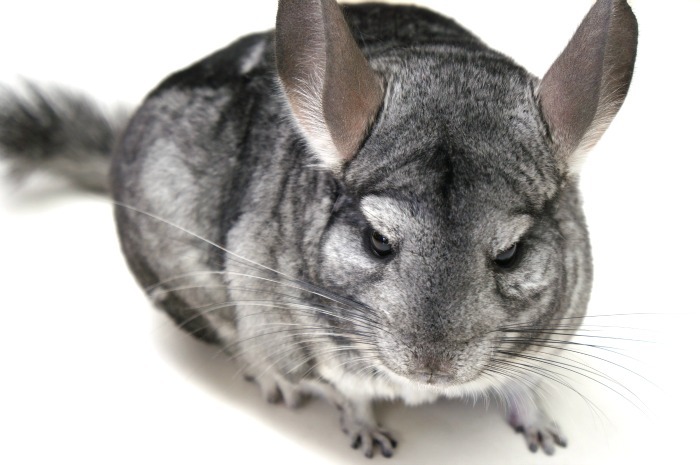 Chinchillas are small rodents (yes, like mice and rats) that come from South America. They live in mountainous regions in Chile in the higher elevations among little crevices and caves in the rocks. They eat vegetation like leaves and seeds, but will opportunistically eat an insect or two. As a rodent, they have front incisors that are always growing. 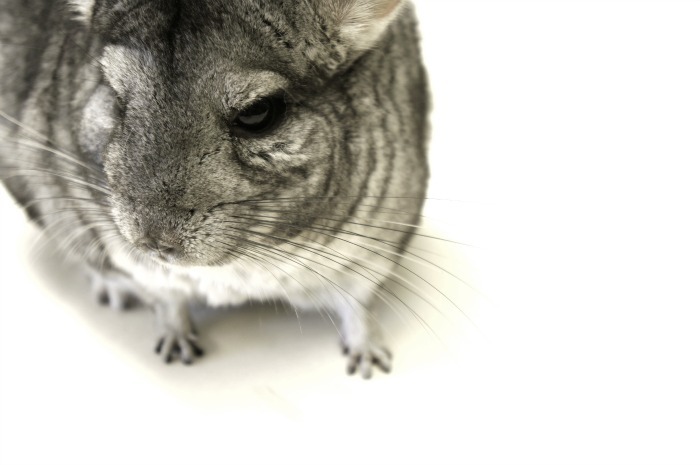 Chinchillas keep them filed down by chewing on harder items like seeds, woody plants, etc. They are nocturnal, so they have big ears and eyes to help them navigate the darkness and incredibly long whiskers! 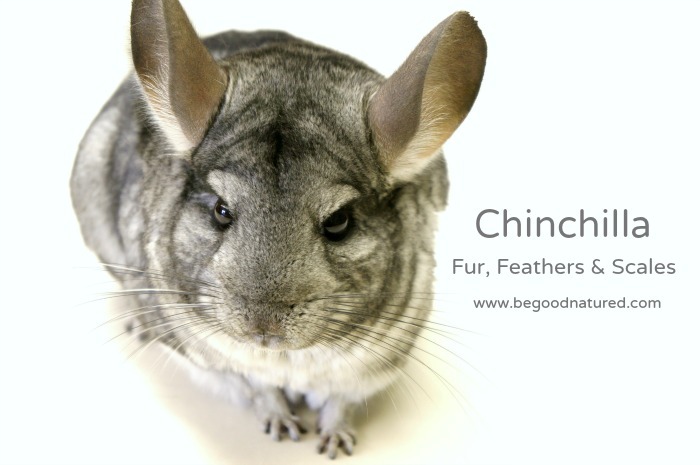 Chinchilla fur is incredibly thick and soft. 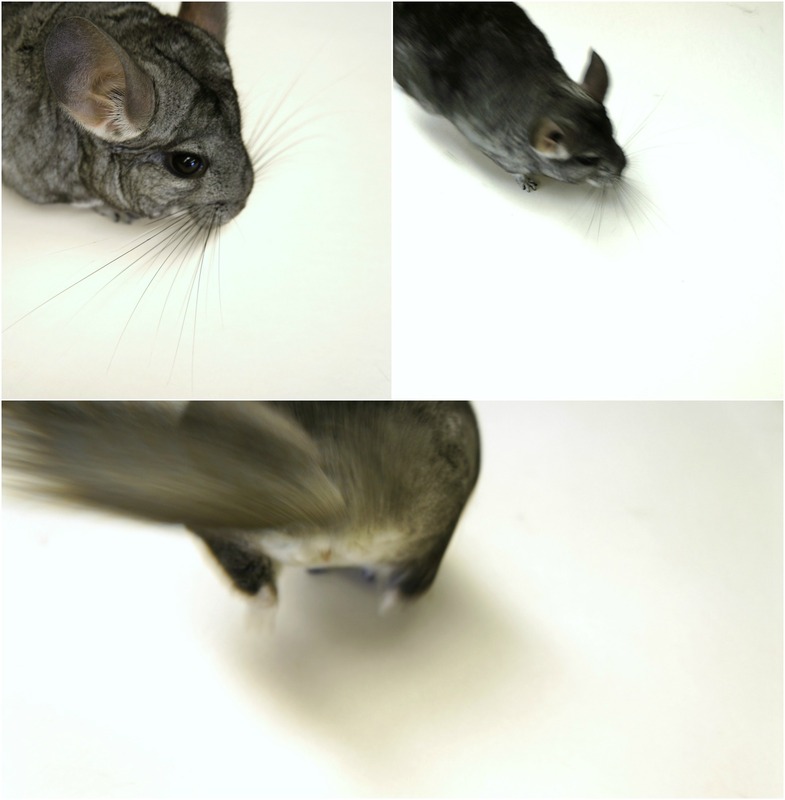 Instead of using water for bathing, chinchillas will roll around in dust to keep away bugs and moisture. In the wild, Chinchillas are legally protected because their populations are low due to people trapping and killing them for their fur. 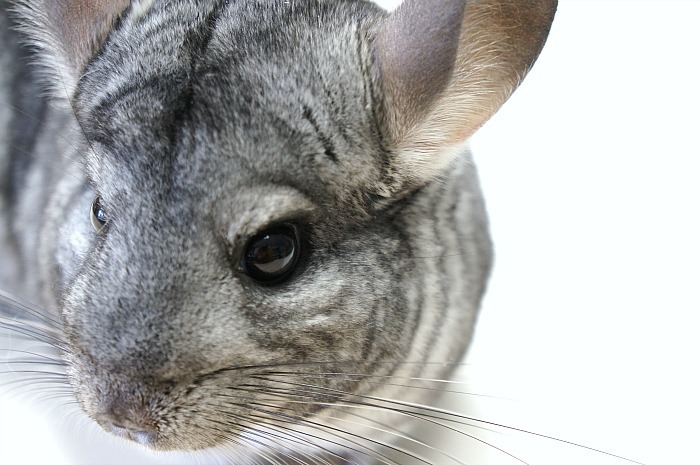 Have you ever "met" a chinchilla before?